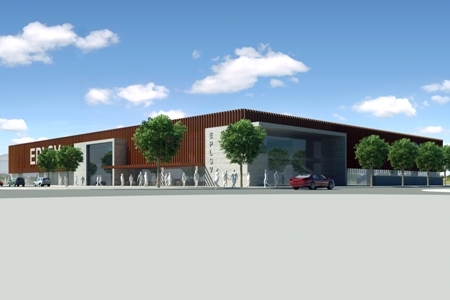 11 June 2013 Ellesmere Port residents who want to know more about plans for the town’s £15m Sport and Leisure Village will be able to have their questions answered next Wednesday (June 19). Cheshire West and Chester Council is hosting a pre-planning ‘drop-in’ session at the Civic Suite, Civic Hall, when the design team will be available to answer questions on the first phase of the exciting development. The ‘drop-in’ will run from 4pm to 8pm and members of the team will answer queries on all aspects of the project ranging from the community and sports facilities provided to the building’s design, landscaping and associated highways works. First phase of the development – to be built on the site of the now redundant Academy buildings, will start in the Autumn, if planning permission is granted in September. Information will also be available on the demolition of those buildings, to make way for the EPSLV. Residents will also have the opportunity to question members of the team on the Stanney Lane Boulevard improvement works. 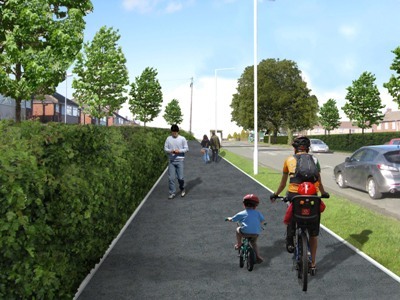 The latter designed to improve better accessibility between the town centre and the Sport and Leisure Village and further to Cheshire Oaks – particularly for cyclists and pedestrians. Prioritised for improvement as a key gateway into the town, Stanney Lane Boulevard will also create a clear visual connection between existing and future development opportunities.